Local Authority Building Control gave the 'Technical Innovation' award to Liverpool and highlighted the challenges faced by the city in adding the extension to the existing Grade II listed site. The city was also awarded the 'Partnership of the Year' award for its ongoing partnership with Liverpool-based developer Downing Construction. 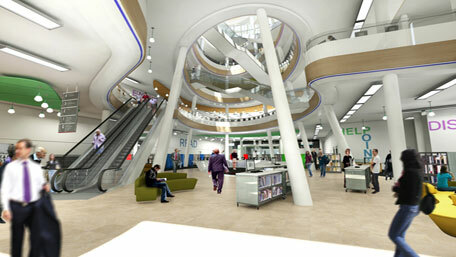 Follow the link below for more background on the remodelling of the Central Library. News story from the Liverpool Daily Post.